Hi everyone! Jinky here to share with you this unique Mother's Day Teapot Exploding Box. I personally believe that Mother's Day is one of the most important occasions on the calendar year. We should be all grateful to our mothers because without their guidance and wisdom, it will be hard for us to be where we are right now. In Latin America, where I currently reside part-time, Mother's Day is declared as a National Holiday. Everyone makes it a point to show how much they love their mothers by taking them to shopping malls, restaurants and spas. My project is inspired by Mother's Day. The supplies I received from MayArts were just in time for this project. 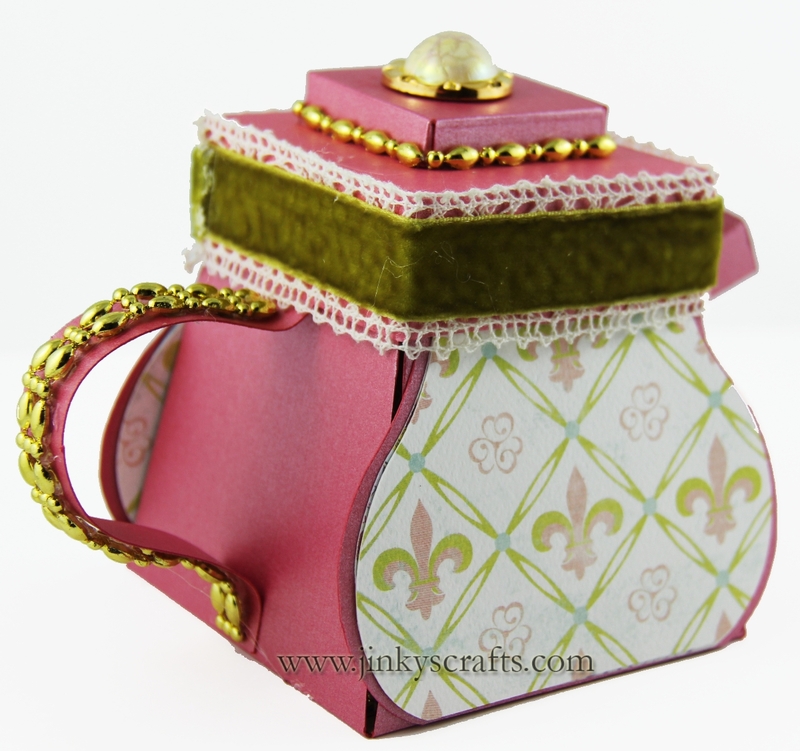 MayArts teamed up with Authentique, I used their Delightful Collection for my Exploding Teapot Box. Their designer paper is perfect for my project. I also embellished my 3-tier square cake with gold trimmings, and for the lid, I used Crochet/Velvet Center Ribbon by MayArts . 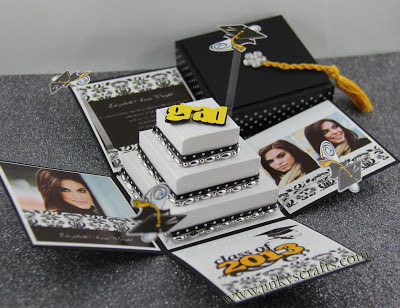 I used my templates for the Graduation Exploding Box 3-Tier Cake + my Teapot Exploding Box (Jinky'sCrafts templates). 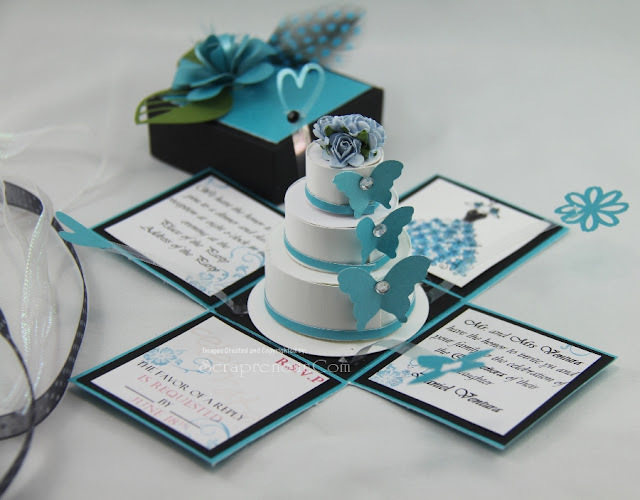 With the help of acetate strips, I added some butterfly "floaties" around my 3-tier cake. 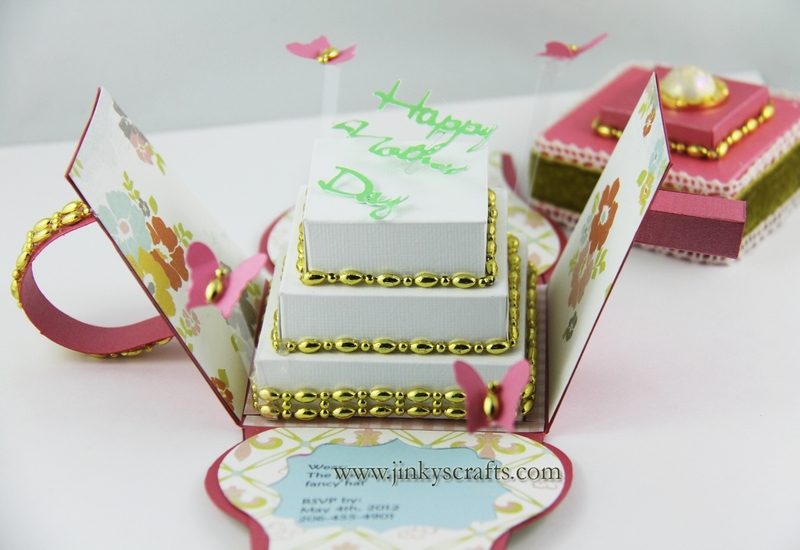 Also I printed Mother's Day Invitation wordings, die cut and attached to my panels. Using my Cricut machine, I cut a "Mother's Day" script and that serves as my topper. I love how it turned out. The Teapot Box is very versatile. 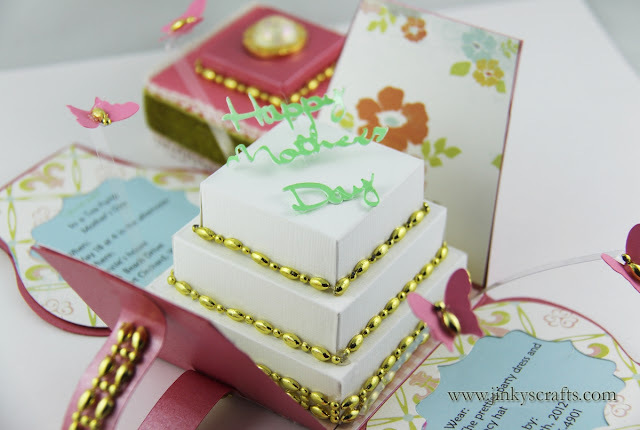 You can use it as a Mother's Day Gift Box, a scrapbook layout and much more. 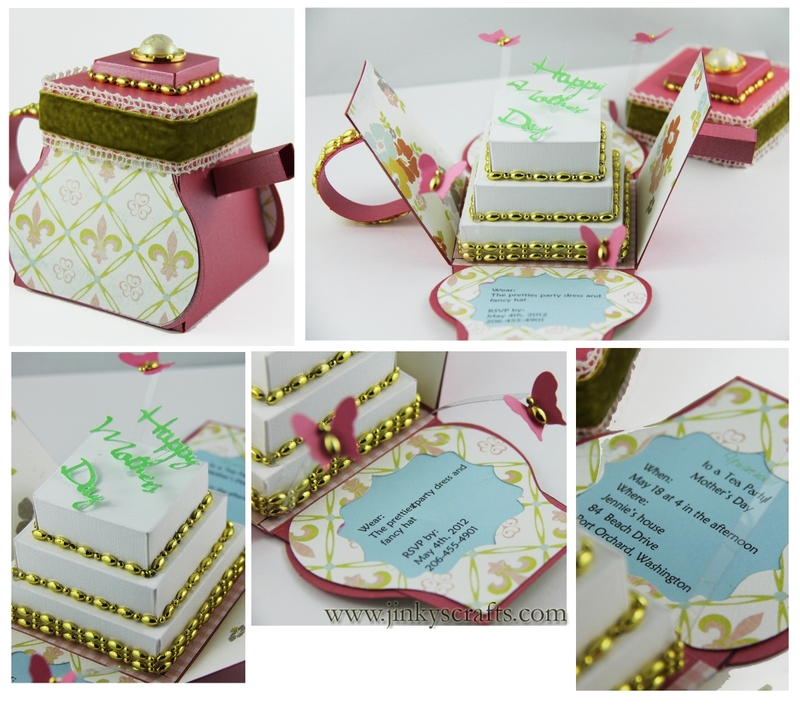 For me, I opted into using the Teapot Exploding Box as an Invitation. It is modern and extra-ordinary. That's it my friends. I hope I inspired you with my project today. This is so cute!! 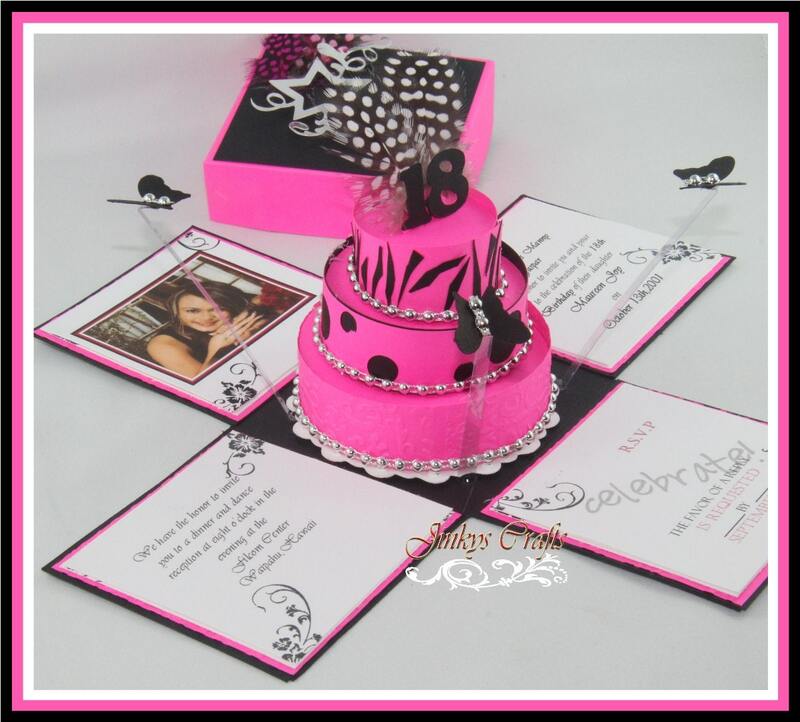 I love your creativity!! !